Bilstein: B6 Monotube Gas The superior 46mm bore German engineered B6 monotube gas shock absorber has no limits simply put it will outperform and outlast anything its fade free design ensures your ride will always remain responsive and safe no ma..
Superior Engineering has put together a 2" inch Bilstein suspension lift kit Suitable For Navara D40 4x4! The suspension kit comprises of the following Bilstein Suspension Parts: 4 x U-Bolts 1 x Polyurethane bush kit 2 x Front coil sprin..
Superior Engineering has put together a 2" inch Bilstein suspension lift kit Suitable For Navara NP300 4x4! The suspension kit will lift your Navara NP300 2 inches and comprises of the following Bilstein Suspension Parts: 2 x Front Bilstein ..
Superior Engineering has put together a 2" inch Bilstein suspension lift kit Suitable For Toyota FJ Cruiser 4x4! 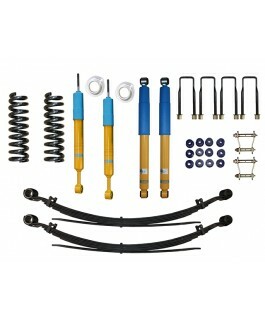 The suspension kit will lift your Toyota FJ Cruiser 2 inches and comprises of the following Bilstein Suspension Parts: 2 x .. 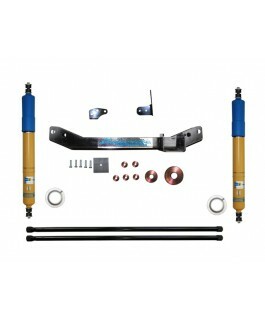 This is a 2" Inch Bilstein lift kit designed Suitable For 2005-15 Toyota Hilux / Vigo Dual Cab 4x4. Superior Engineering has come up with a 2 inch lift kit using top of the range Bilstein shock absorbers and front struts for the 2005-15 Toyot.. 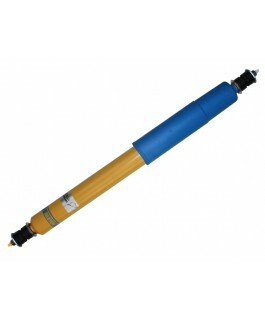 This is a 2" Inch Bilstein lift kit designed Suitable For Toyota Hilux Revo. Superior Engineering has come up with a 2 inch lift kit using top of the range Bilstein shock absorbers and front struts for the Toyota Hilux Revo. The kit comprises o..
Superior Engineering has put together a 2" inch Bilstein lift kit Suitable For Toyota Landcruiser 100 Series. This stage 3 suspension kit will lift your landcruiser 2 inches (front and rear) and comprises of the following Bilstein Suspension Parts..
Superior Engineering has put together a 2" inch Bilstein lift kit Suitable For front of the Toyota Landcruiser 100 Series. The suspension kit will lift the front of your landcruiser 2 inches and comprises of the following Bilstein Suspension Parts..
Superior Engineering has put together a 2" inch Bilstein lift kit Suitable For Toyota Landcruiser 100 Series. 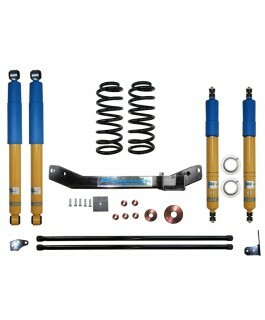 This stage 4 suspension kit will lift your landcruiser 2 inches (front and rear) and comprises of the following Bilstein Suspension Parts..
Superior Engineering has put together a 2" inch Bilstein lift kit Suitable For rear of the Toyota Landcruiser 100 Series. The suspension kit will lift the rear of your landcruiser 2 inches and comprises of the following Bilstein Suspension Parts: ..
Superior Engineering has put together a 2" inch Bilstein suspension lift kit Suitable For Toyota Prado 120 Series 4x4! The suspension kit will lift your Toyota Prado 120 Series 2 inches and comprises of the following Bilstein Suspension Parts..
Superior Engineering has put together a 2" inch Bilstein suspension lift kit Suitable For Toyota Prado 150 Series 4x4! The suspension kit will lift your Toyota Prado 150 Series 2 inches and comprises of the following Bilstein Suspension Parts..
Superior Engineering has put together a 2" inch Bilstein suspension lift kit Suitable For Volkswagen Amarok 4x4! 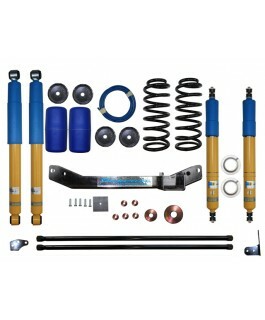 The suspension kit comprises of the following Bilstein Suspension Parts: 2 x Front Bilstein Struts 2 x Rear Bilstein Shocks ..
Superior Engineering has put together a 20mm lift kit Suitable For Mitsubishi Triton ML/MN 4WD vehicle with Premium Bilstein Shocks. This lift kit is the perfect upgrade for all driving situations... it can handle both normal and tough four w..
Superior Engineering has come up with a 3 inch lift kit Suitable For current model Hilux's / Vigo which include top of the range Bilstein shock absorbers and front struts. The kit comprises of the following 4x4 accessories and suspension parts: ..
Superior Engineering has come up with a 3 inch lift kit Suitable For current model Hilux's Revo which include top of the range Bilstein shock absorbers and front struts. The kit comprises of the following 4x4 accessories and suspension parts: ..
Superior Engineering has put together a 30mm Bilstein Lift Kit Suitable For Nissan Pathfinder R50 four wheel drive vehicle. 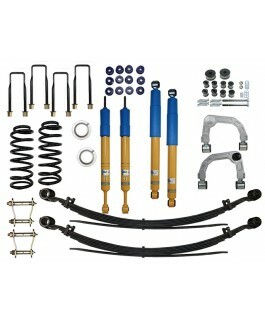 This lift kit will provide 30mm of lift and includes the following suspension parts and 4x4 accessories: 2 x Fro.. 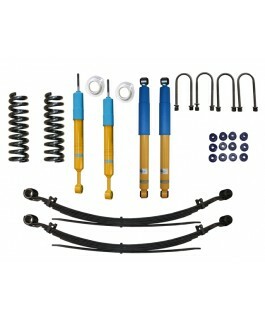 This is a 35mm lift kit Suitable For Ford Ranger and Mazda BT-50 4WD vehicles with premium quality Bilstein Shocks. This lift kit can handle both tough four wheel driving conditions as well as comfortable highway touring. The kit incl.. 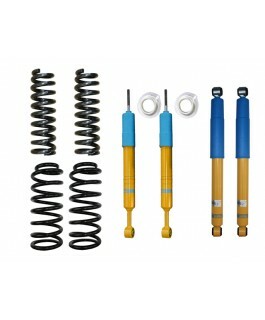 This is a 4 Inch Bilstein suspension lift kit suitable for the 2005-15 Toyota Hilux / Vigo. Superior Engineering has come up with a 4 inch suspension lift kit Suitable For 2005-15 Toyota Hilux / Vigo which uses top of the range Bilstein shock abso.. 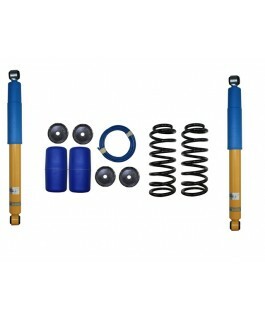 This is a 4 Inch Bilstein suspension lift kit suitable for the 2015 on Toyota Hilux / Revoo. Superior Engineering has come up with a 4 inch suspension lift kit Suitable For 2015 on Toyota Hilux / Revo which uses top of the range Bilstein shock abs.. This is a 40mm lift kit Suitable For Holden Colorado (RC), Holden Rodeo (RA) and Isuzu D-Max (Series 1) 4WD vehicles with premium quality Bilstein Shocks. 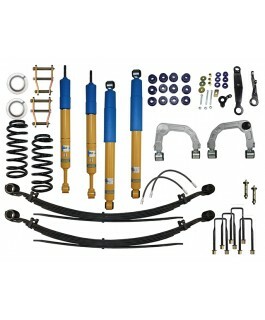 This lift kit can handle both tough four wheel driving conditions as well as comfo.. 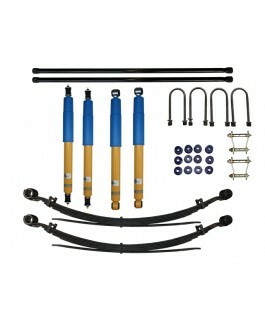 This 40mm lift kit has been assembled Suitable For Mitsubishi Pajero (2000 on) 4WD vehicle with premium Bilstein Shocks. This lift kit will handle the rigors of tough offroad four wheel driving as well as highway touring. The suspensi..
Superior Engineering has put together a 40mm lift kit Suitable For Mitsubishi Triton MQ 4WD vehicle with Premium Bilstein Shocks. 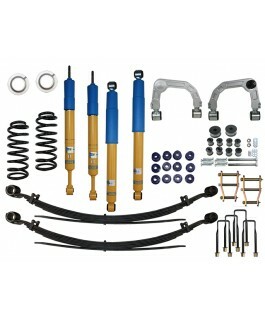 This lift kit is the perfect upgrade for all driving situations... it can handle both normal and tough four wheel dri.. 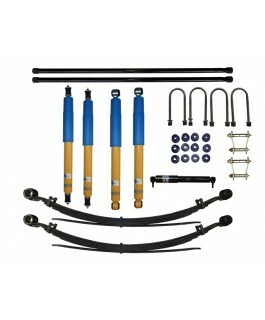 This is our 40mm lift kit suitable for the Nissan Pathfinder R51 4x4 vehicle. 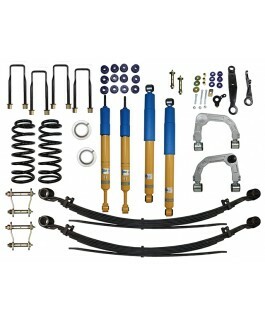 This kit includes the following components and accessories: 2 x Front Bilstein Struts 2 x Rear Bilstein Shocks 2 x Front Coils 2 x R..
Superior Engineering has put together a 40mm lift kit suitable for the IFS Toyota Hilux and 4Runner 4WD vehicles with Premium Bilstein Shocks. This lift kit can handle tough four wheel driving conditions as well as perform great on-road. T..
Superior Engineering has put together a great all-round 45mm lift kit suitable for the Holden Colorado 7 and Isuzu MU-X 4WD vehicles with Premium Bilstein shocks. This kit will have your 4x4 sitting 45mm higher than standard, while still retaining..